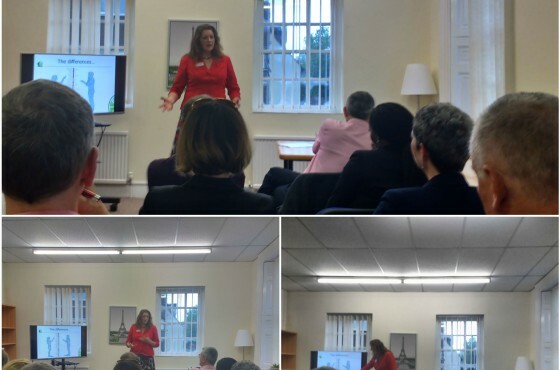 On Wednesday 20th April the St Neots Business Network was joined by Siobhan Costello from Great Business Results (http://www.greatbusinessresults.co.uk) at their evening networking event. Networking is often not a natural skill we all possess and can be a little daunting to small business leaders but at the same time many see it as a critical part of building business. 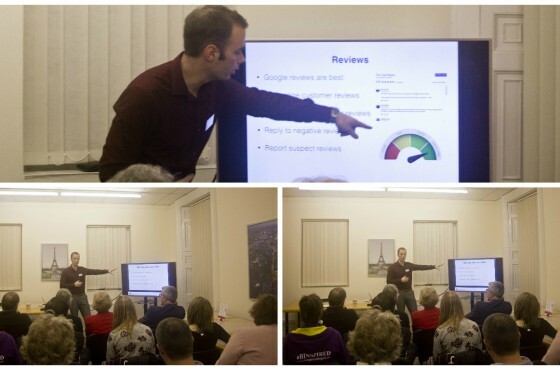 The interest shown through our social media channels in the lead up to to the evening was testimony to the fact that we all want to be better and more natural networkers. 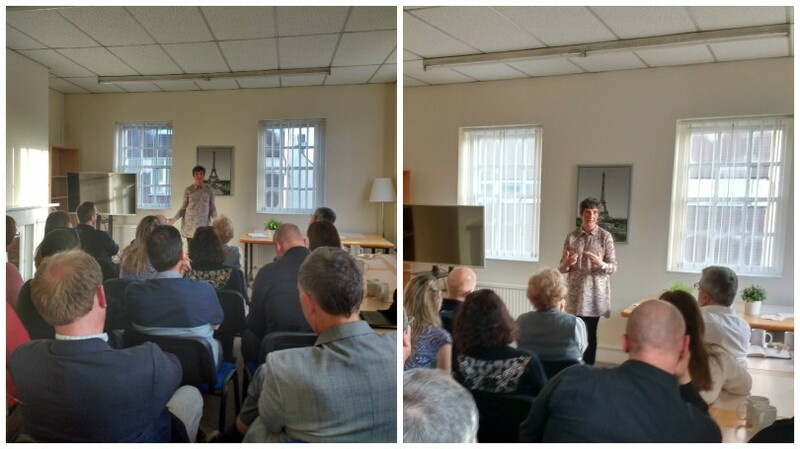 On the evening itself there was standing room only to hear Siobhan share with us her tips and experiences. And we were not disappointed. In an informal, entertaining and engaging manner Siobhan shared with the group her secrets to making a good impression and ensuring you connect with the right people. Make sure you have a fantastic 30 sec introduction that covers: who I am; who I want to talk to/why I am here; what I do; and and what pain point your business solves. This will help pique curiosity in you. Remember that networking events are not for selling, rather they are designed to build relationships. And remember too that communication is built up with 55% physiology (how you behave), 38% tone of voice and only 8% words. How find out out right people to connect with? You need to set a goal for the networking event. If you haven’t then ask yourself what is the point in going? Remember it is people who know people who know people so often your goal should be around targeting people to meet through your research or identify people who can introduce you to people. Organisers of event are often useful conduits to linking with the people you want to meet in the room and can reduce time wasting. Make sure you are at the right networking meeting. If ,say, your target market is women then be in a room full of women. Know when it is time to move on from a discussion and develop mechanisms to perform a graceful exit. A simple way of doing this is to say: ‘Very nice to meet you but it is time I moved on to talk with someone else’ at which point you could introduce them to someone else so they are not left alone. Go onto LinkedIn to not only do your research but to also find out who else they might know and introduce you to them. Afterwards everyone was able to put learning into practice as the informal networking resumed with some making their way over to the pub for a swift pint. If you would like to know more about how to build your business with confident networking then please do contact Siobhan or buy her book The Memorable Minute from amazon.